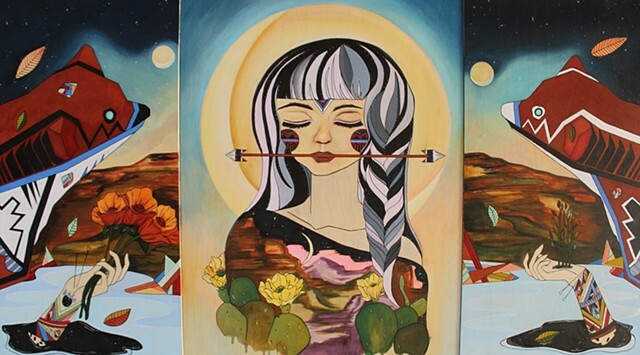 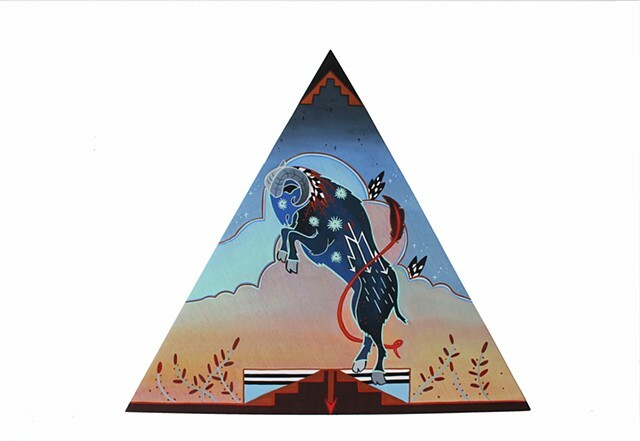 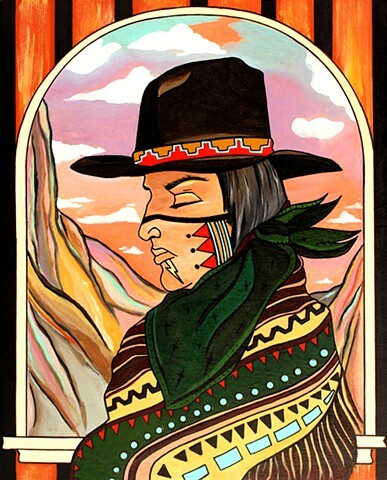 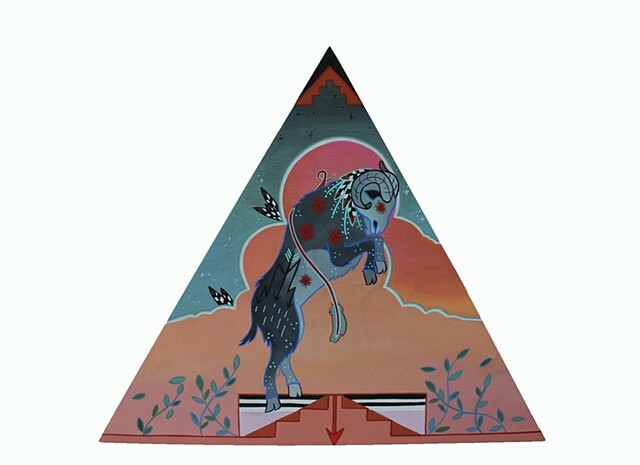 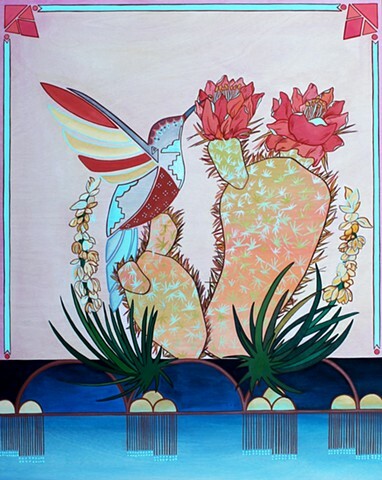 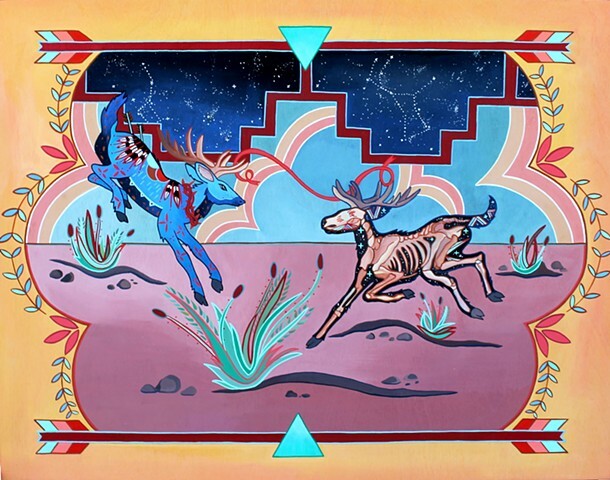 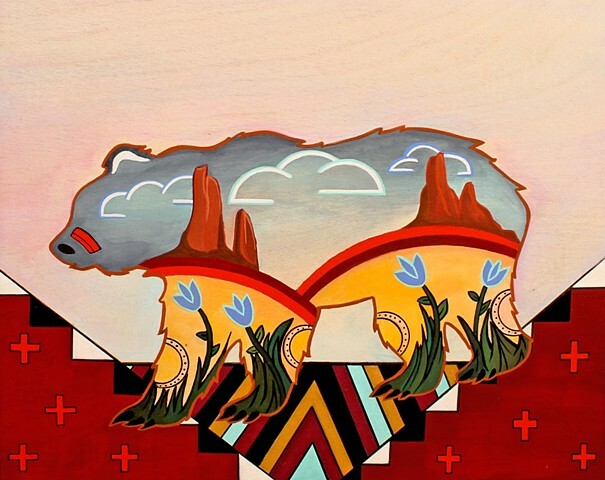 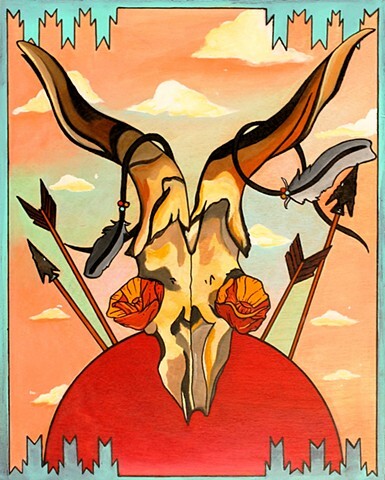 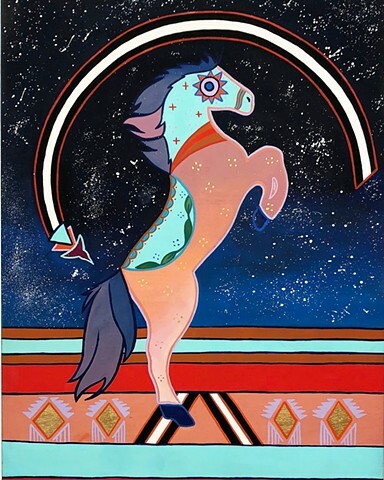 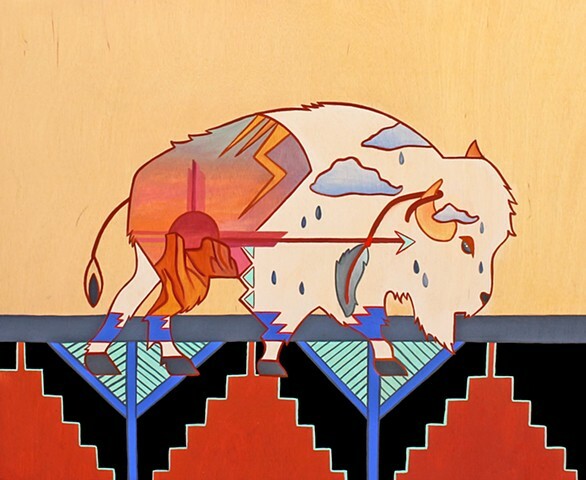 "Iconic Visions" is a series of paintings that manifest a nostalgic illustration of the natural beauty of the American Southwest; while also re-examining it. 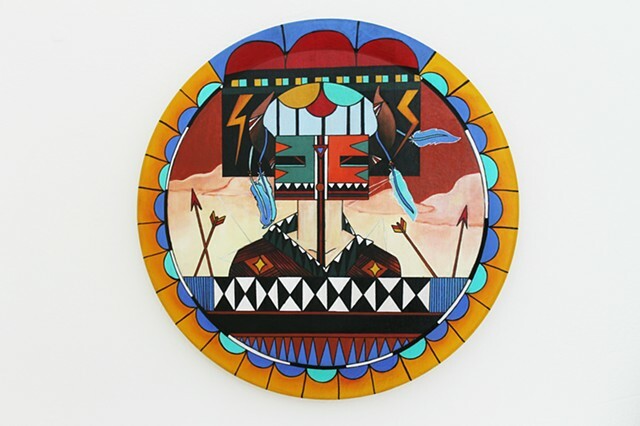 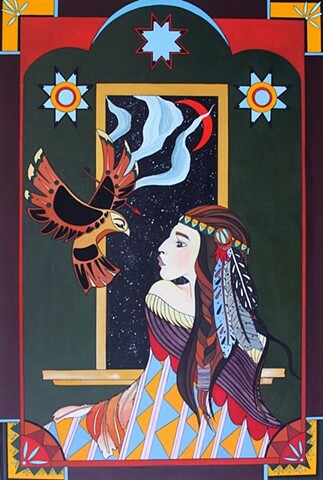 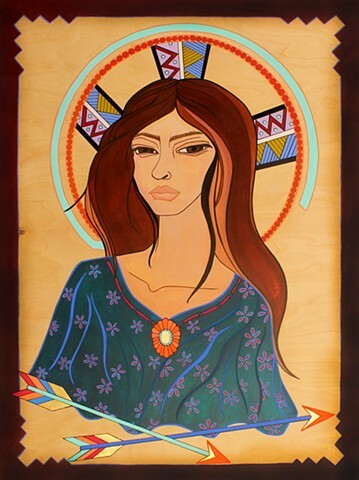 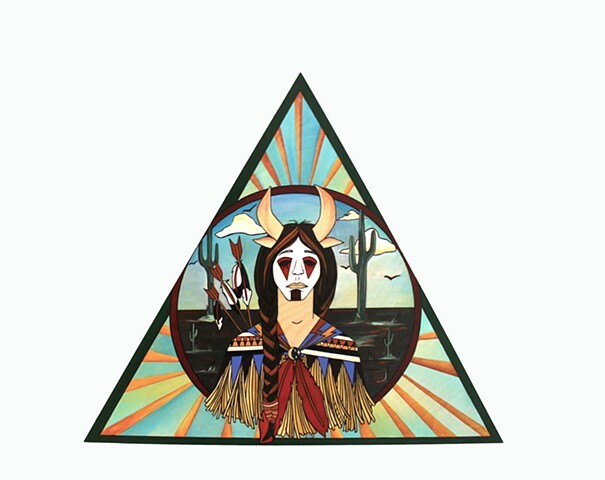 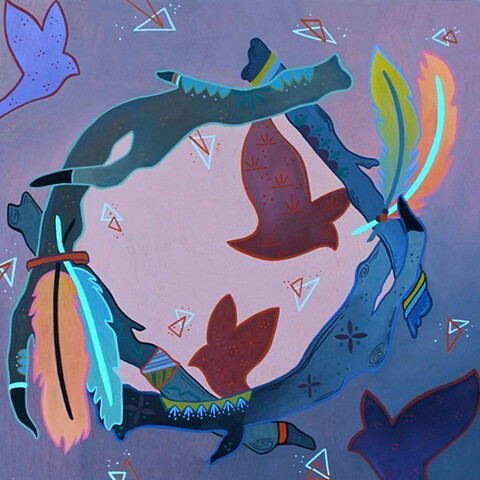 These paintings begin to narrate Felicia's story of her identity as an American Indian of the Choctaw tribe with Spanish heritage. 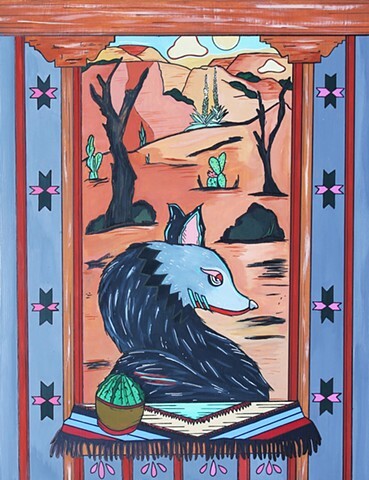 Also informed by similar influences of the desert landscape from basic stereotypes and the formulaic constructs of typical representations of the region to utopian visions and romanticized beliefs. 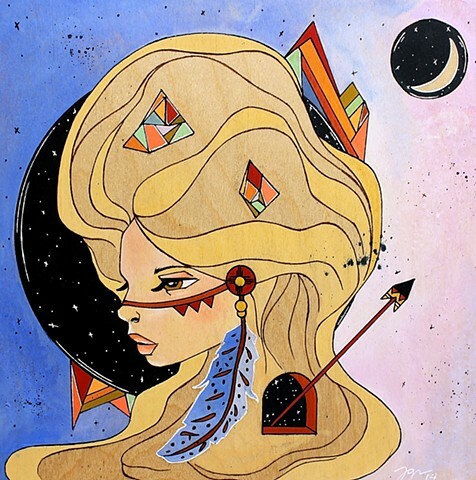 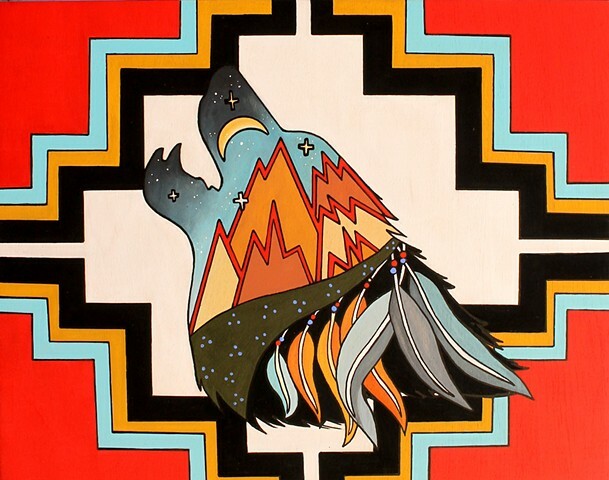 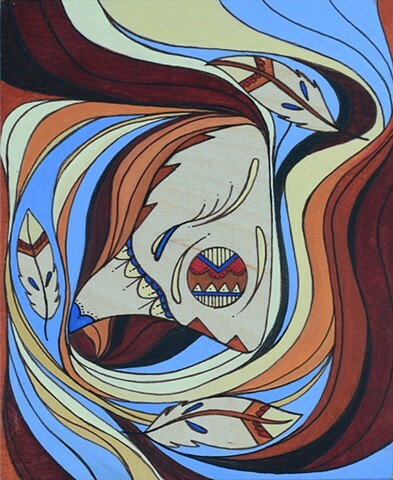 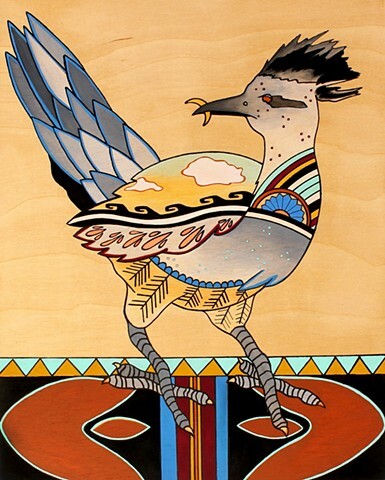 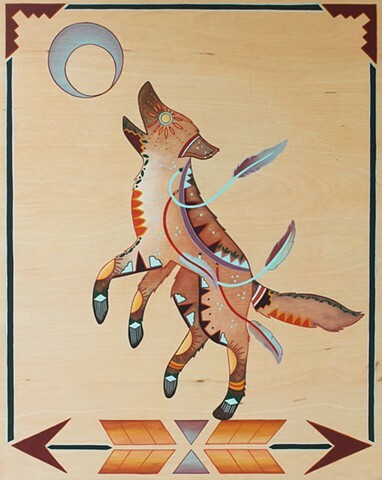 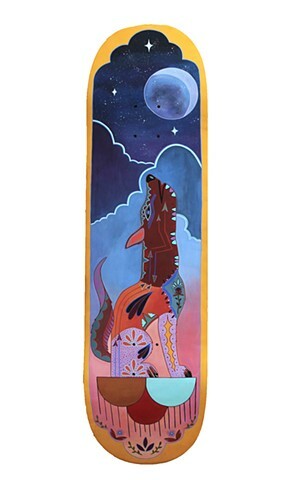 They represent the distant reverence of self discovery, culture, and historical elements. 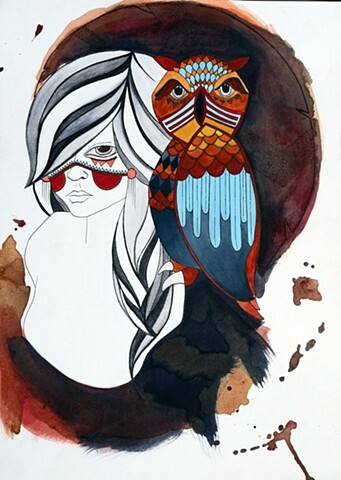 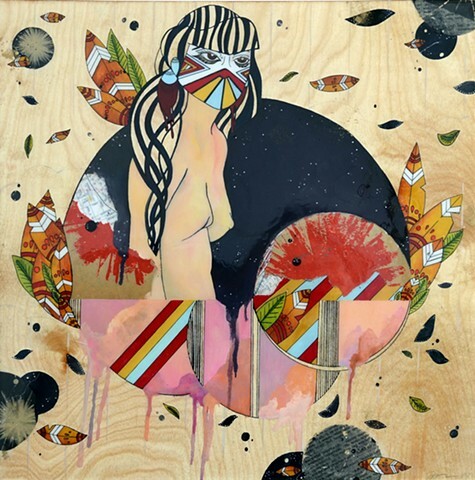 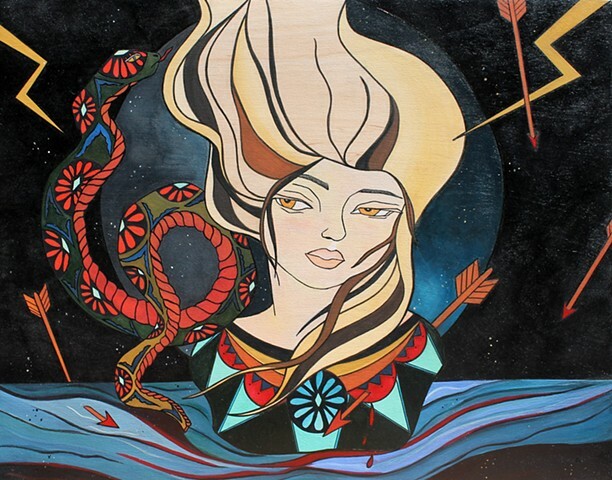 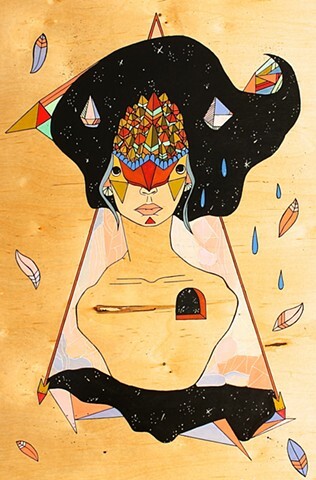 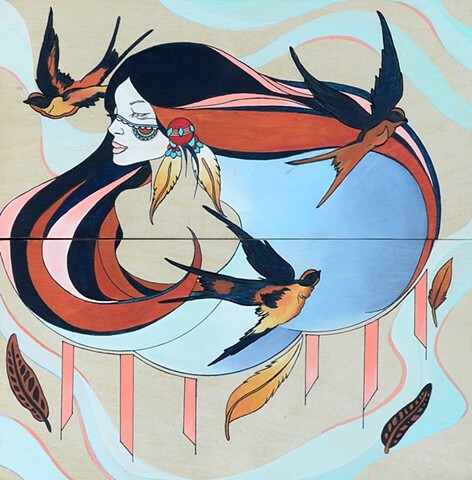 Felicia’s work draws from the imagination both a mythical and mystic part of human experience in the natural world. 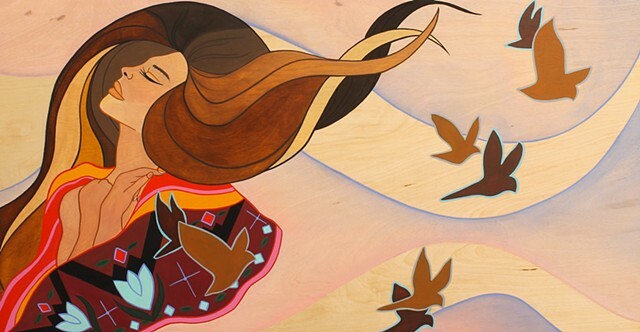 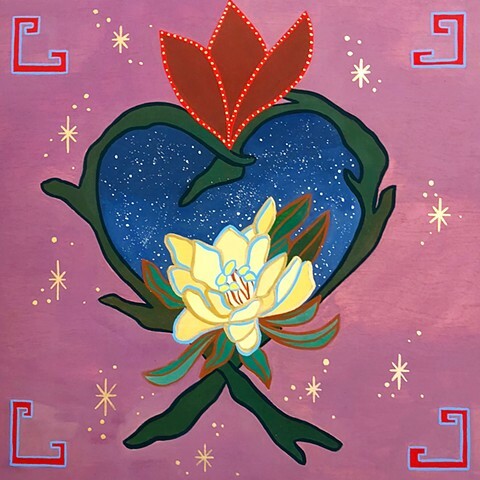 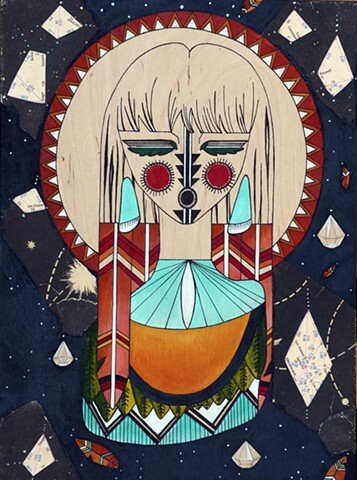 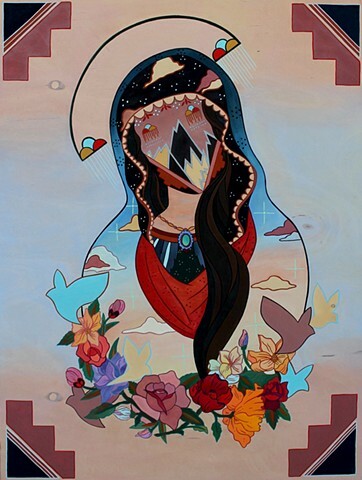 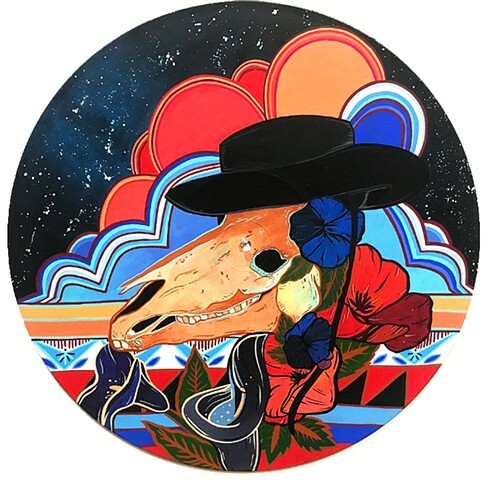 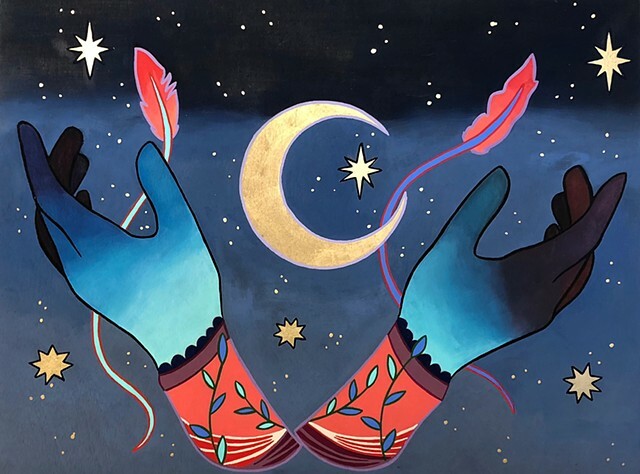 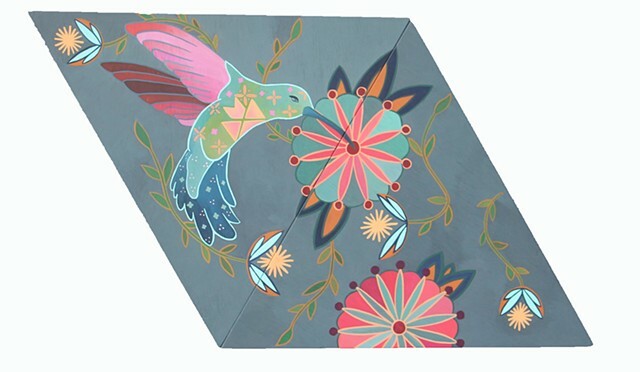 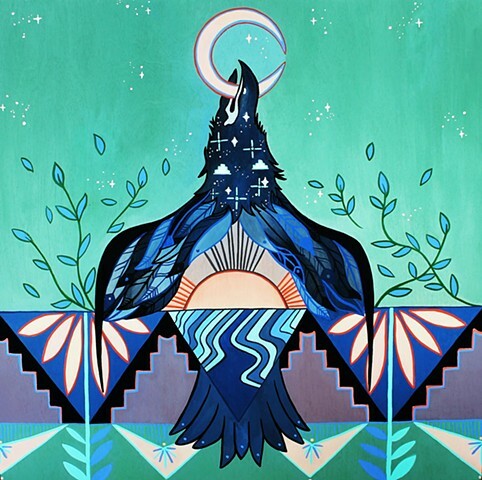 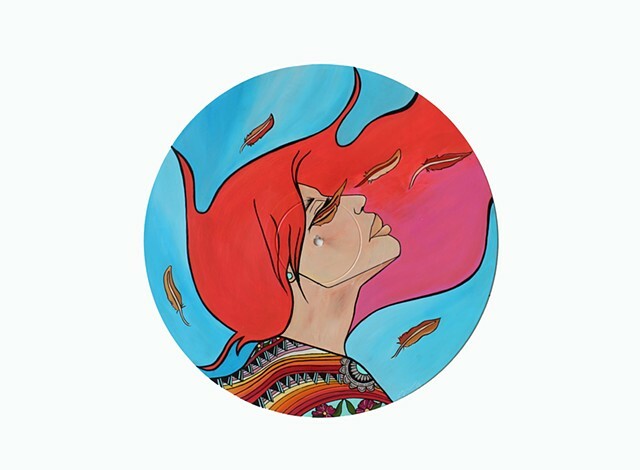 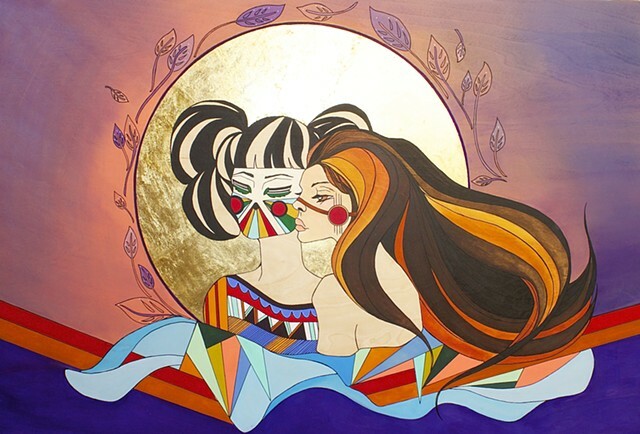 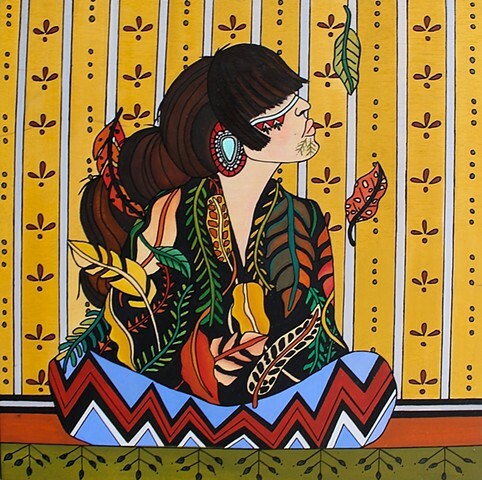 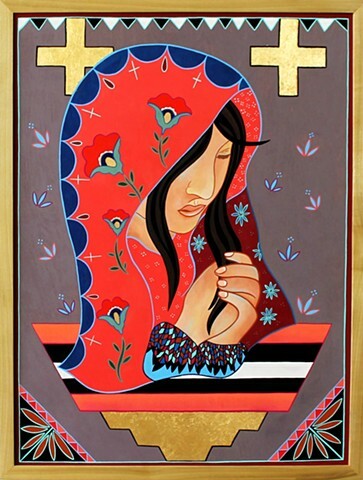 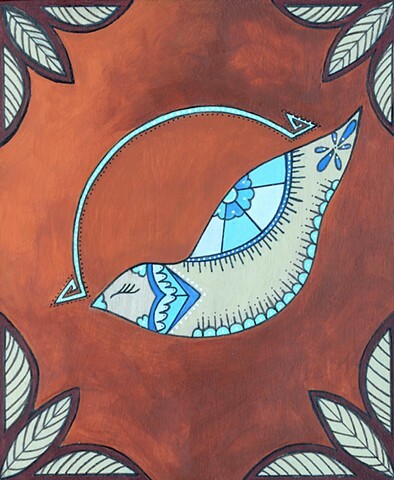 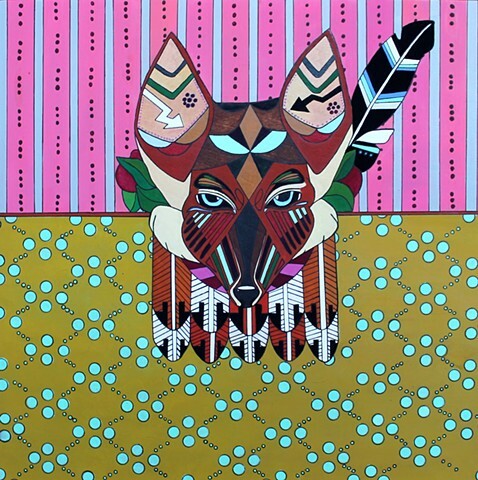 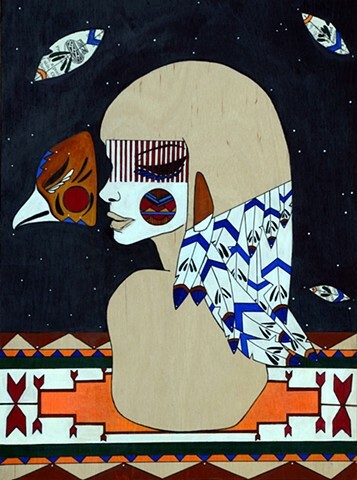 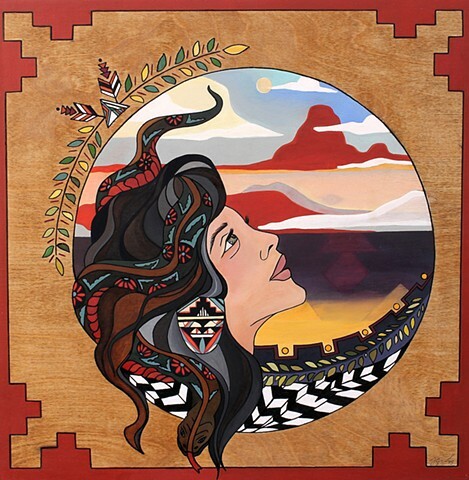 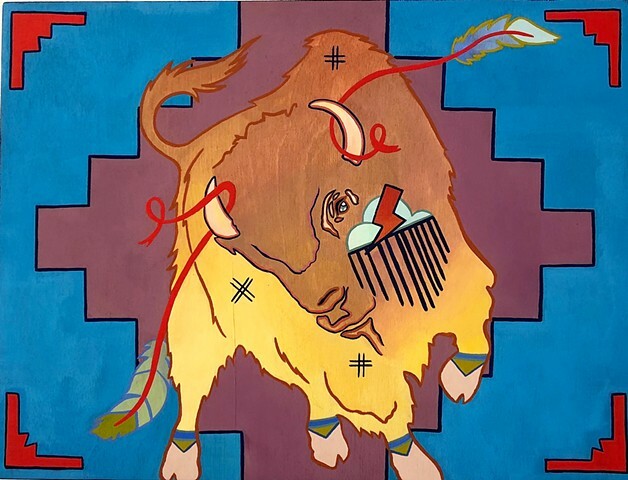 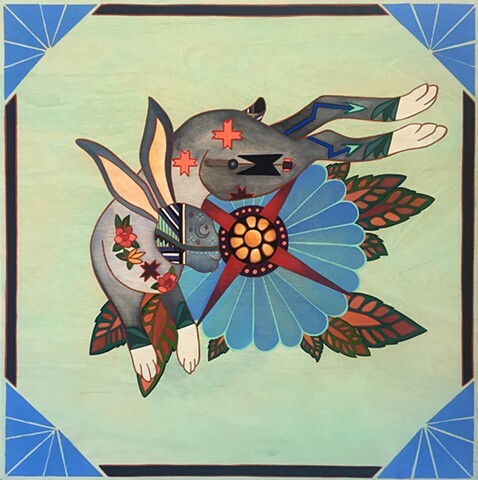 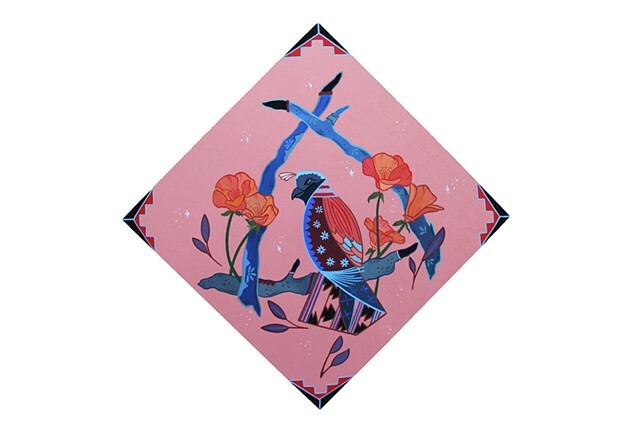 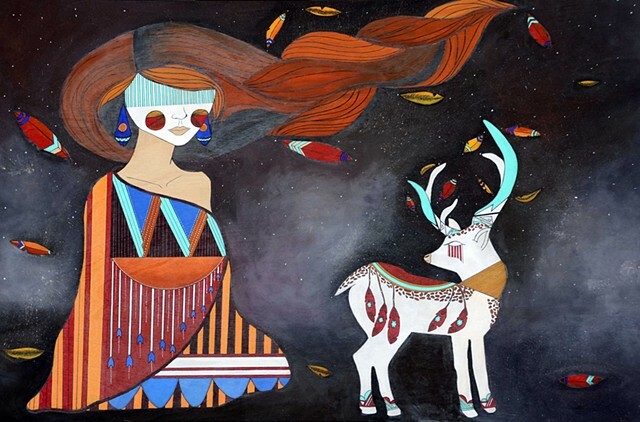 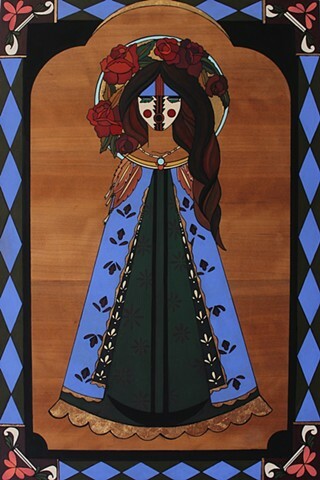 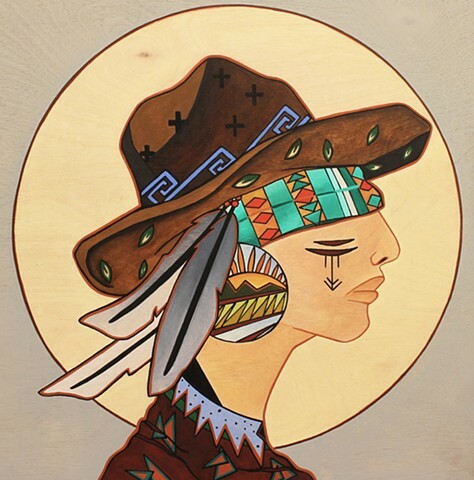 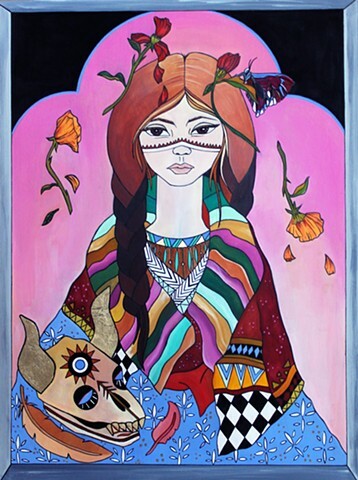 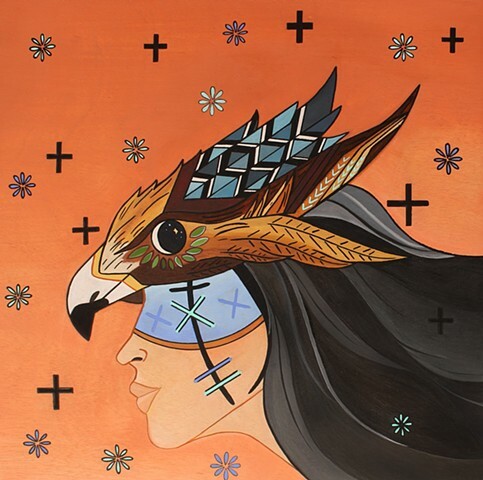 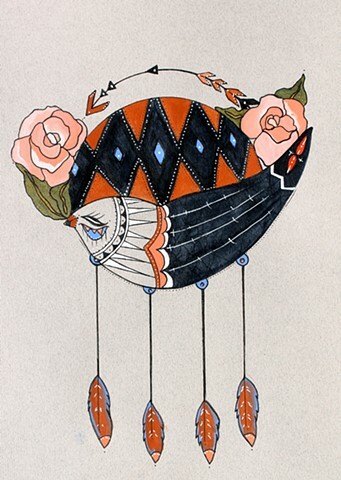 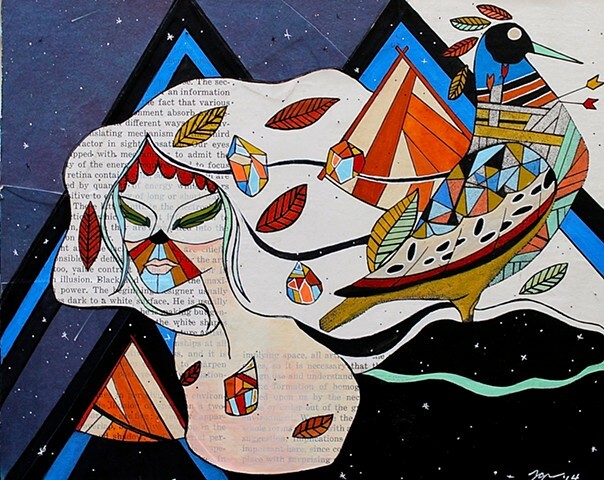 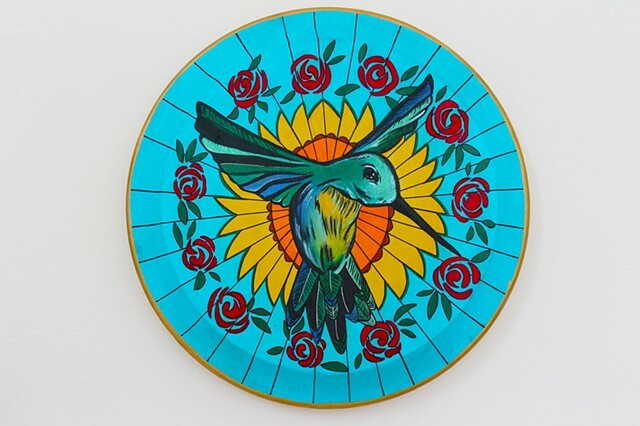 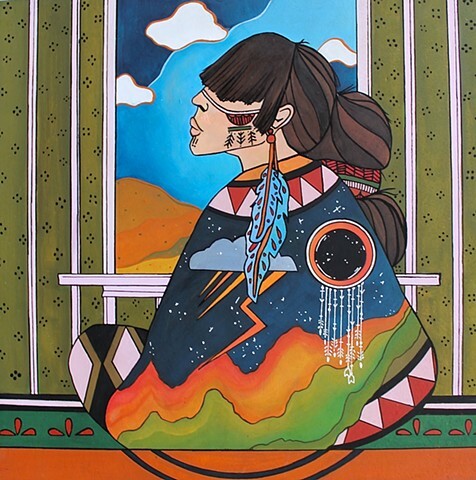 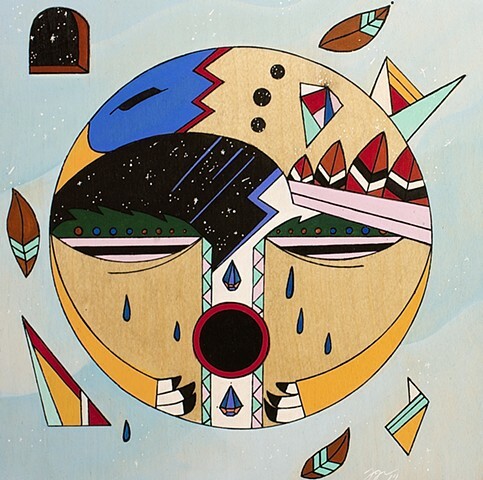 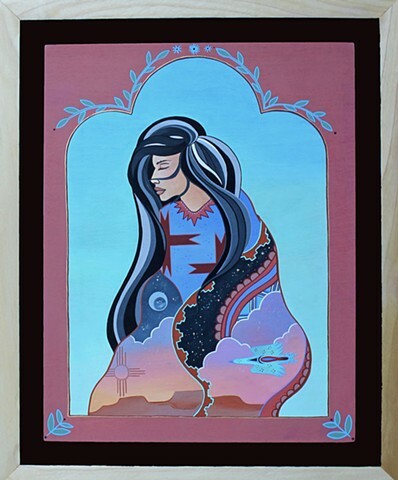 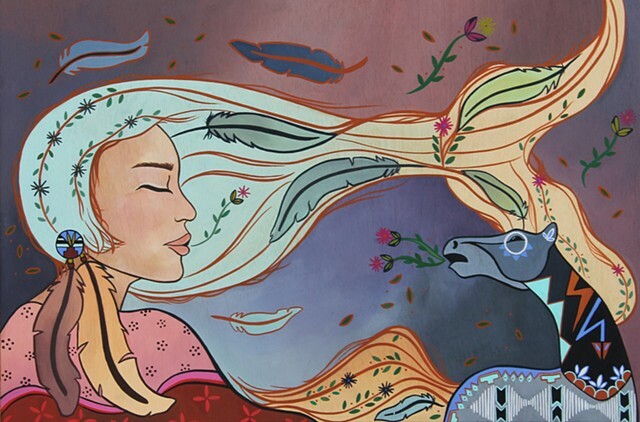 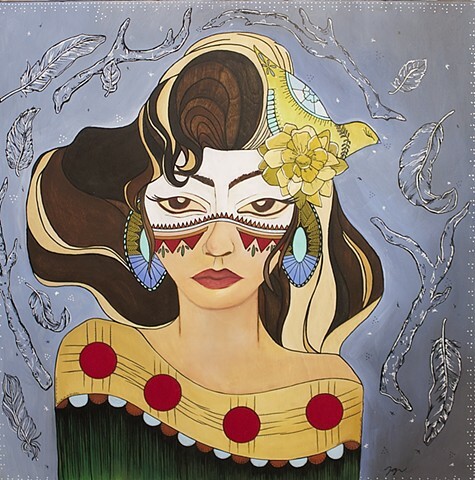 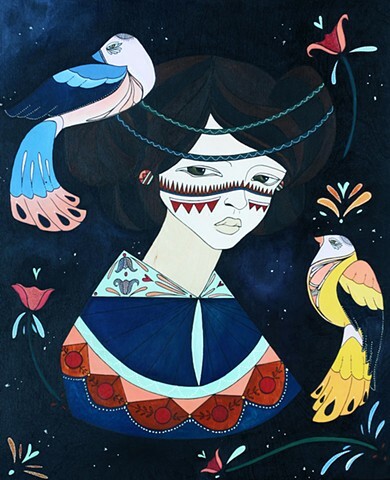 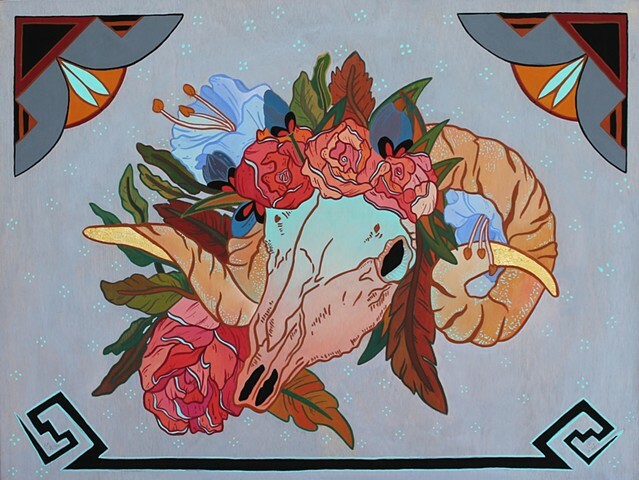 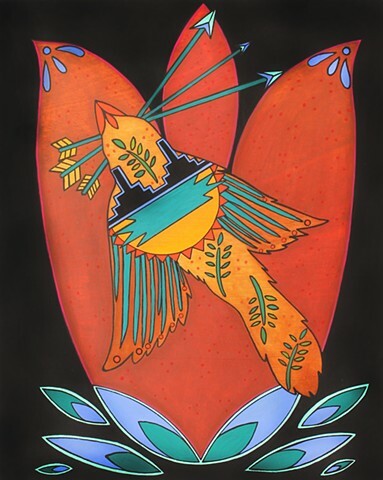 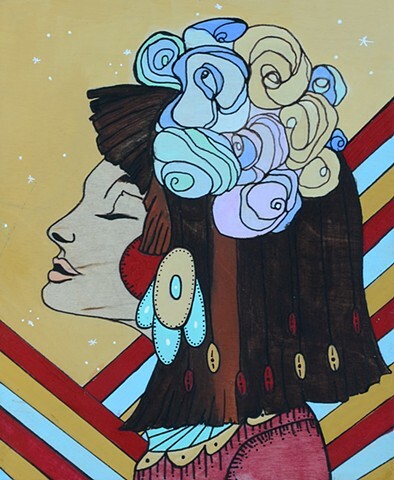 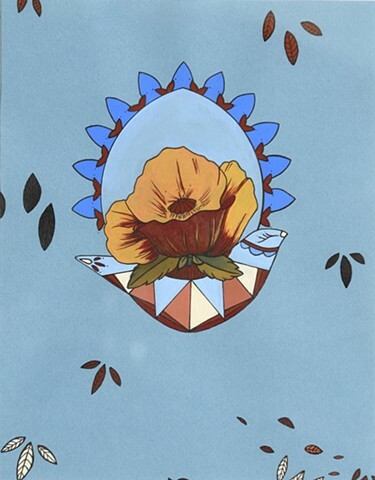 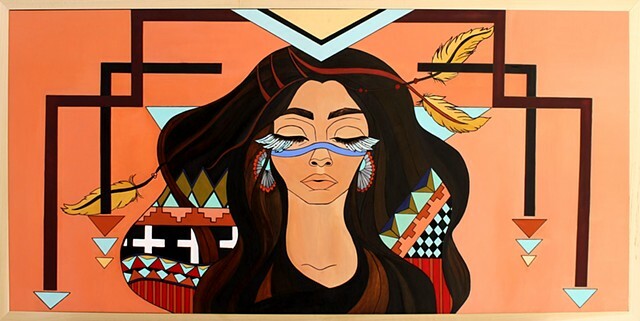 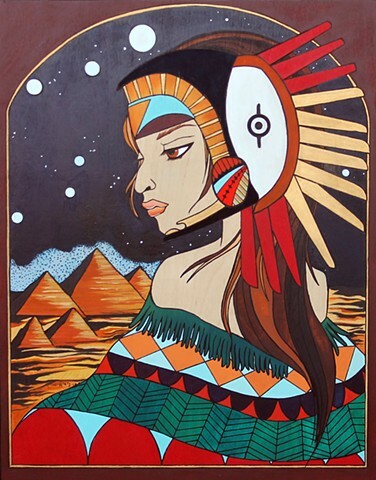 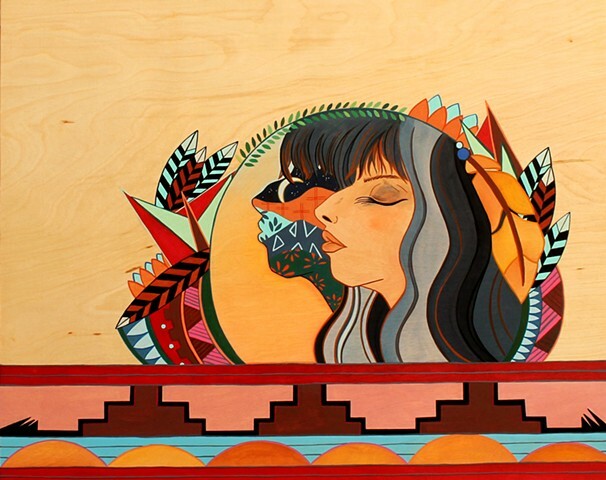 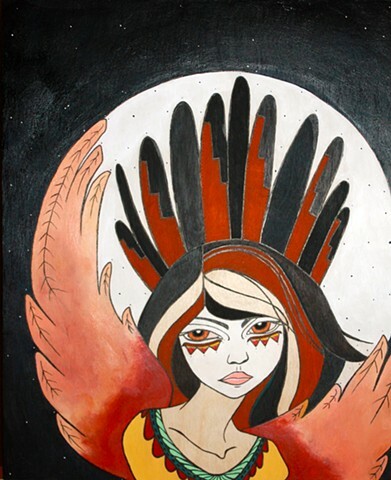 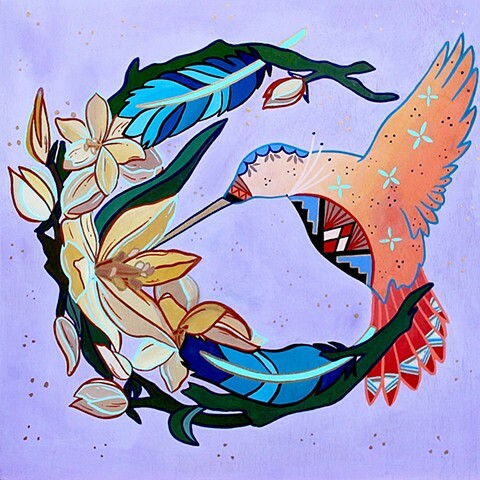 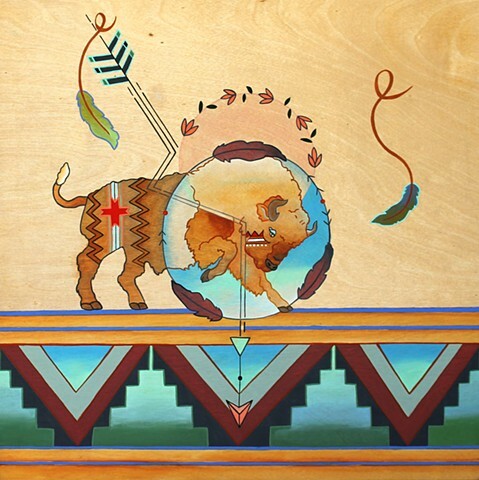 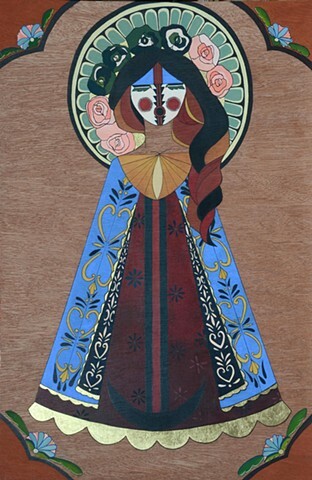 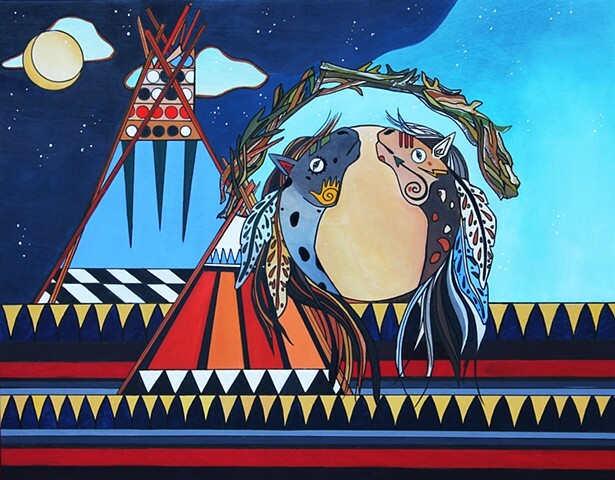 Her work being experienced through a cultural, iconic, and folkloric content expresses the wonders of nature realized through symbols and tradition. 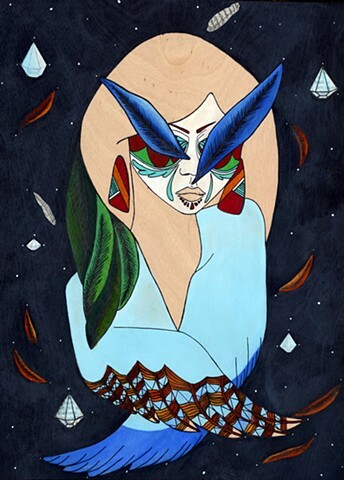 Felicia hopes to suggest that the production of space and human experience influence the formation of individual and communal systems of belief. 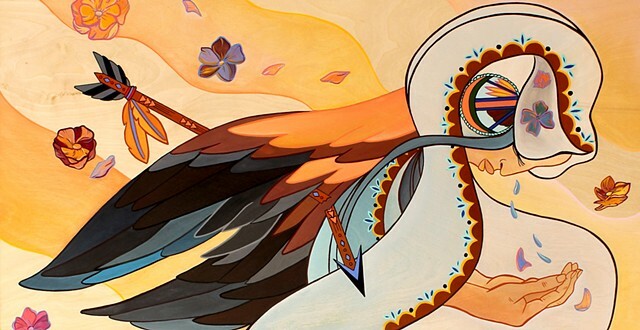 For list prices and commission inquiries please email me. 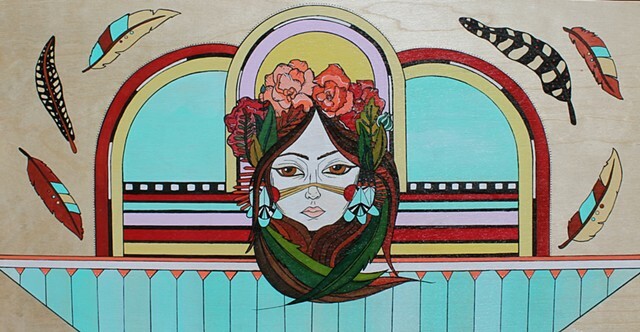 "Her Gaze Pierced the Soul"
2 panels 5" x 11"